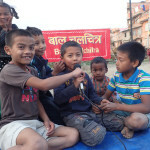 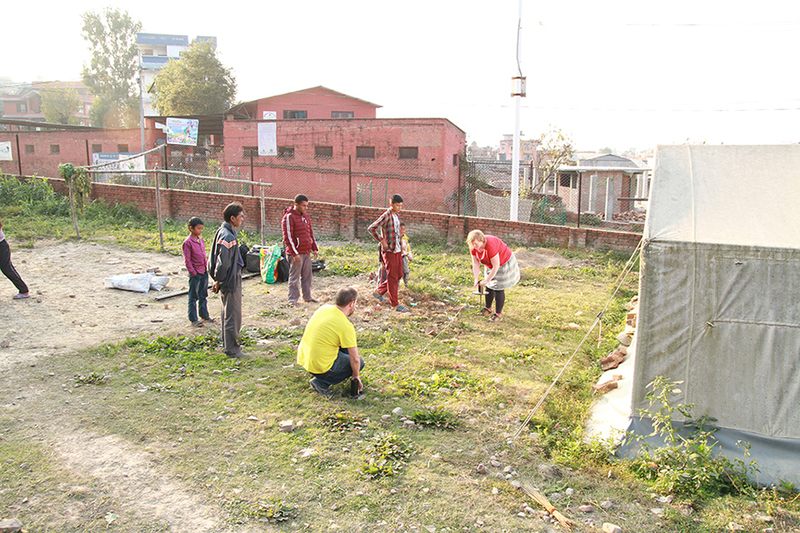 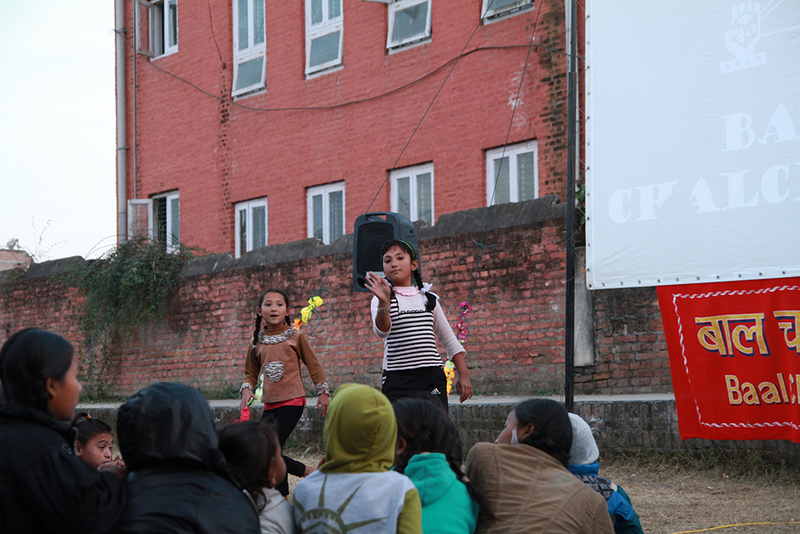 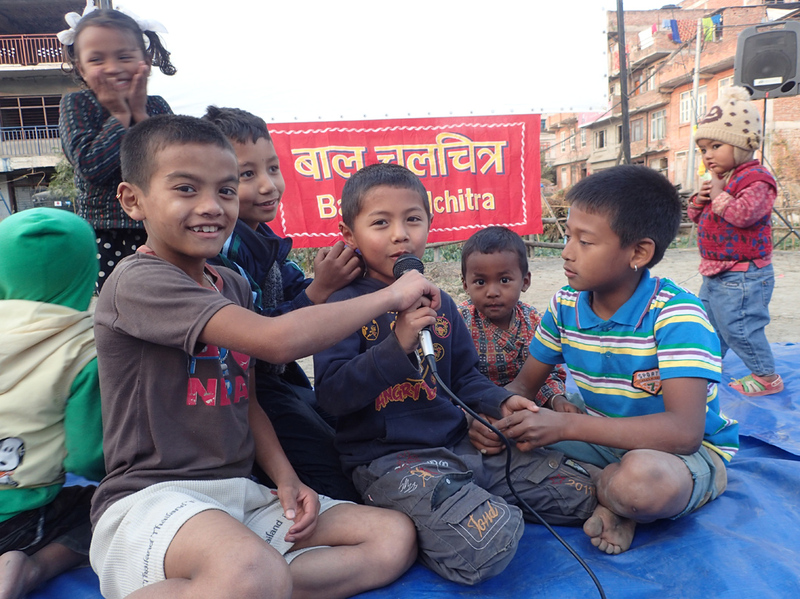 In Kathmandu we managed to make contact with Clean Up Nepal who have been carrying out surveys of the camps in Bhaktapur, which is a UNESCO World Heritage Site around a half hour away from Kathmandu. 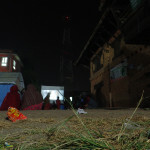 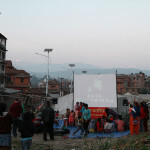 Bhaktapur was badly damaged by the earthquakes and, despite many people relocating to their home villages, there are still approximately 30-40 camps in the town. 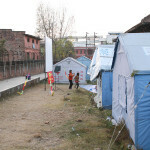 With winter approaching fast, the people who are still living in these camps are the ones with nowhere else to go. 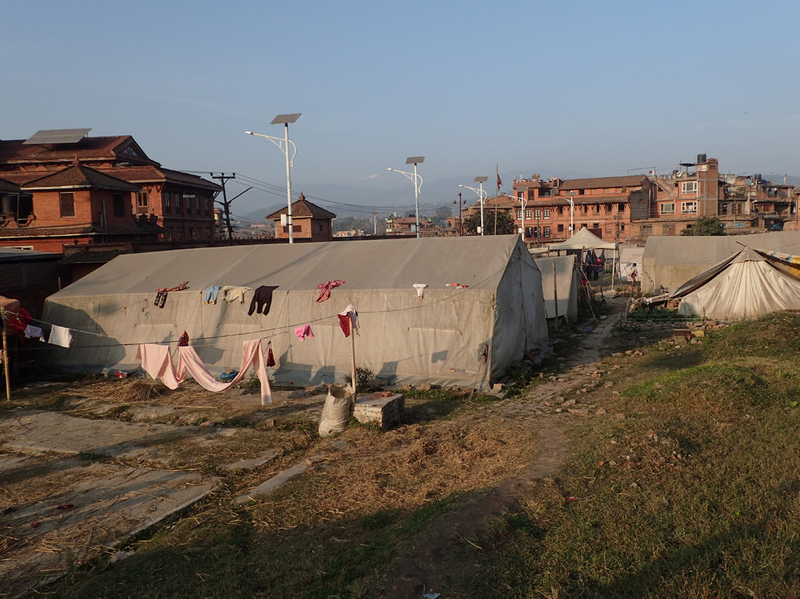 We make a research trip out to Bhaktapur and are taken around six of the camps by Clean Up Nepal’s camp monitors (Rejina & Soonam). 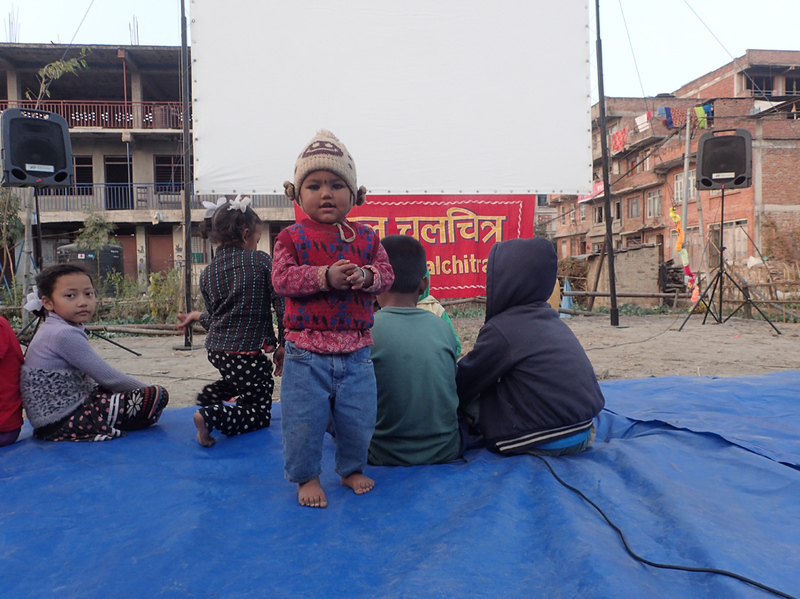 We have time to carry out three more screenings so we select the three camps that have the largest number of children living in them, and are located near to some of the others. 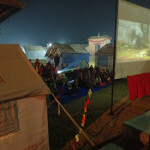 Some of the camps are actually located within the boundary of the UNESCO World Heritage site itself. 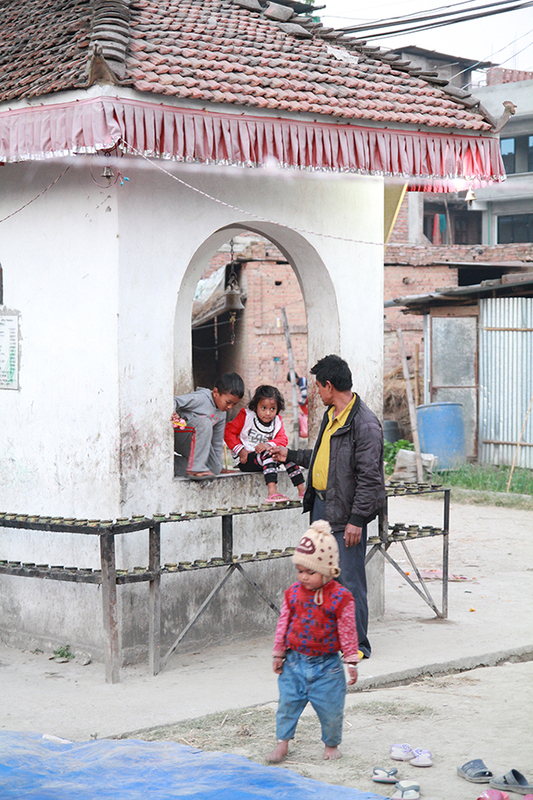 Toll booths will continue to collect tourist money just outside, whilst these people expect to be living here for the next 2-3 years. 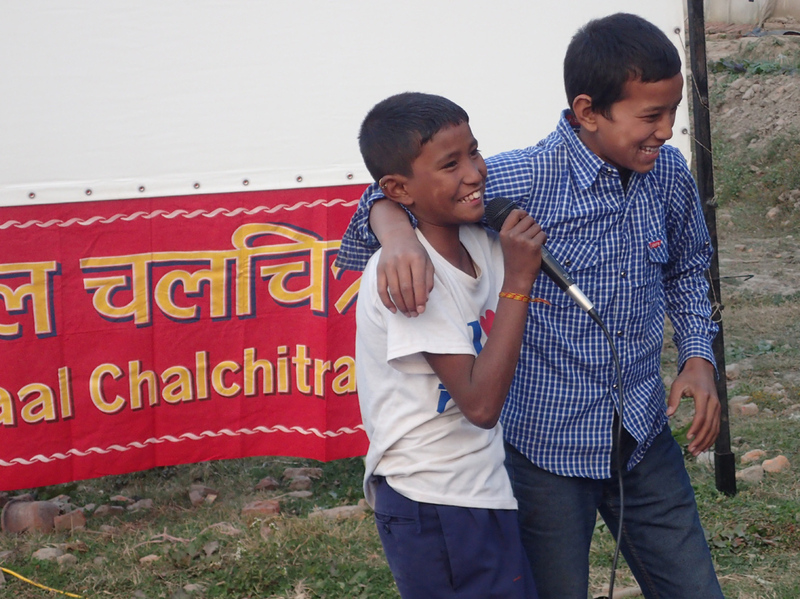 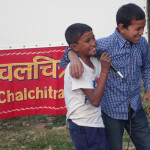 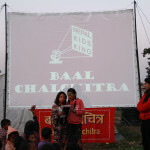 All three screenings are a success, and we hear from the children that our screenings have been creating quite a buzz amongst the kids in the local school. 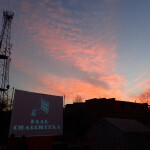 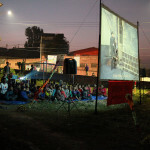 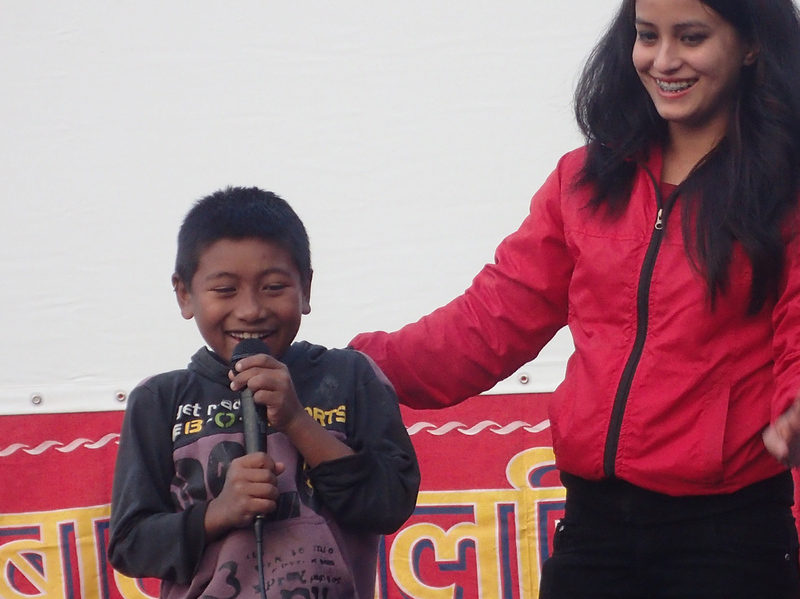 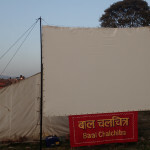 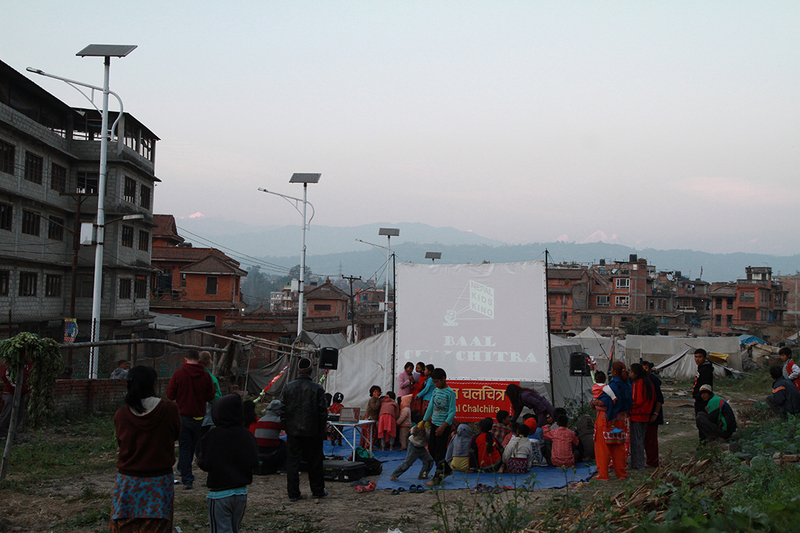 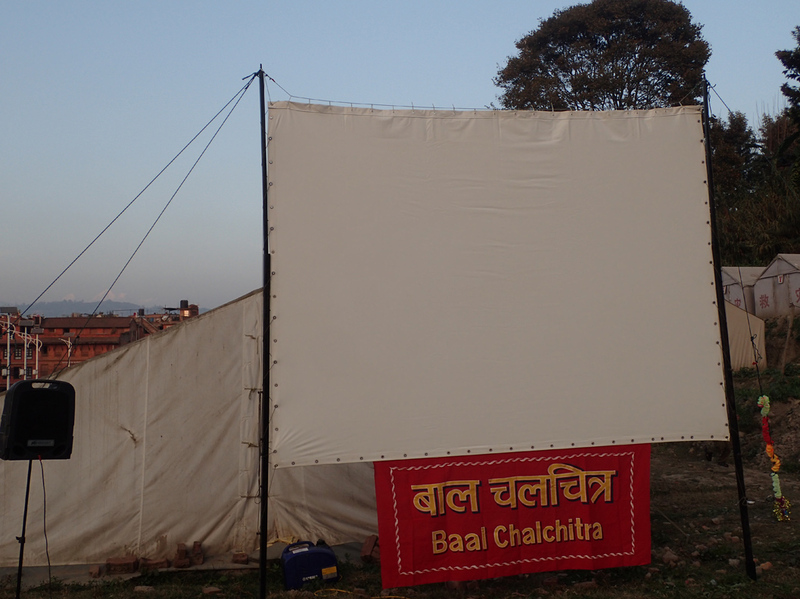 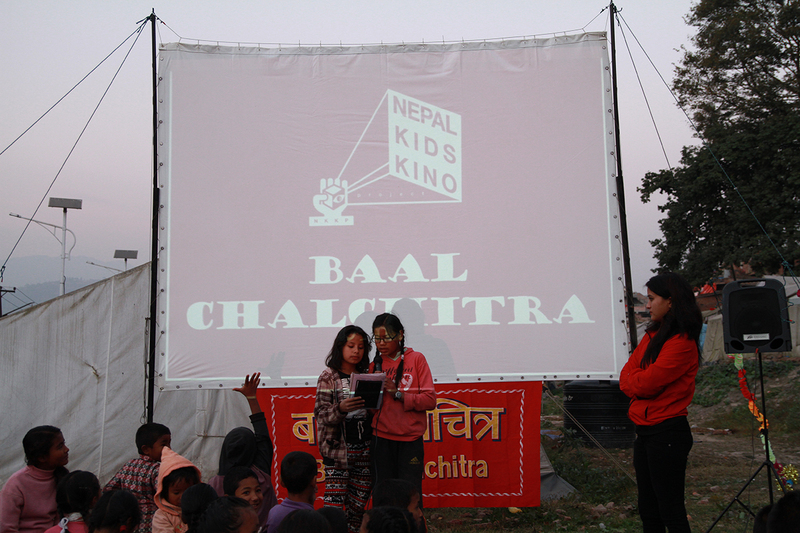 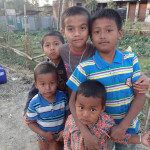 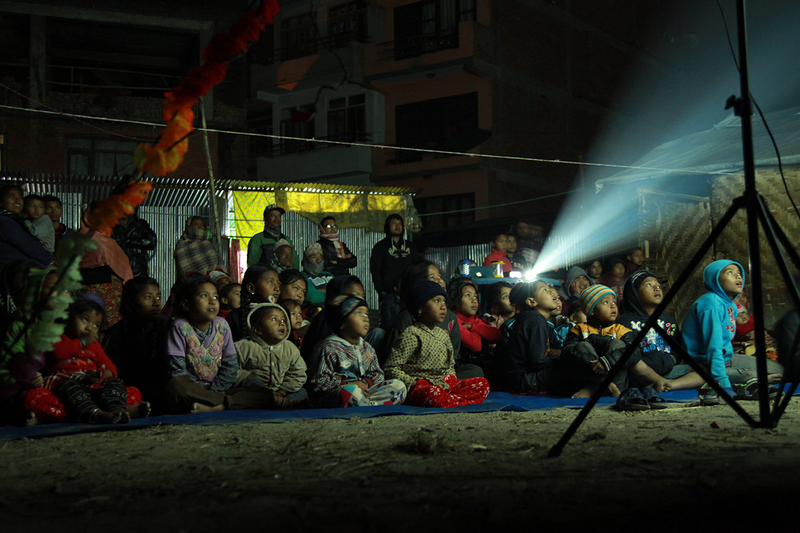 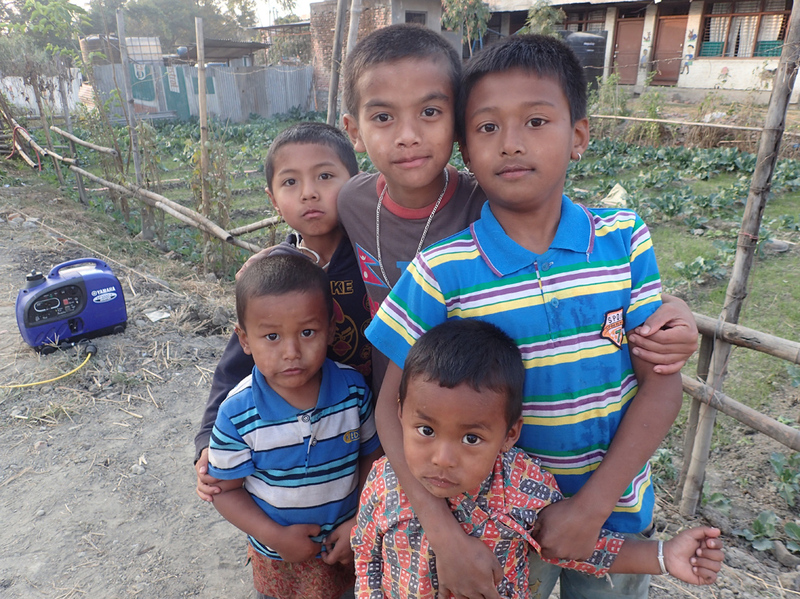 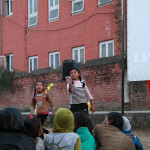 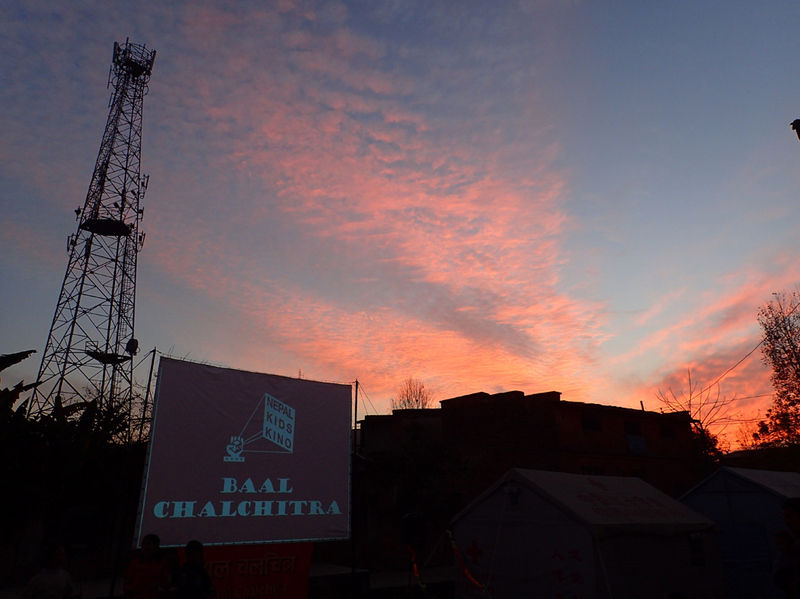 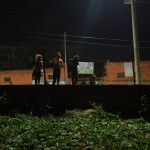 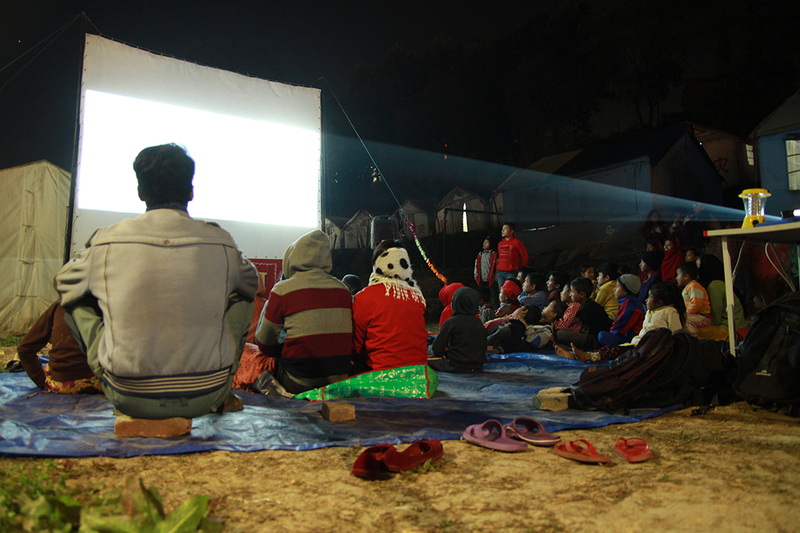 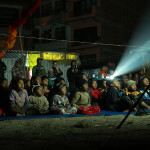 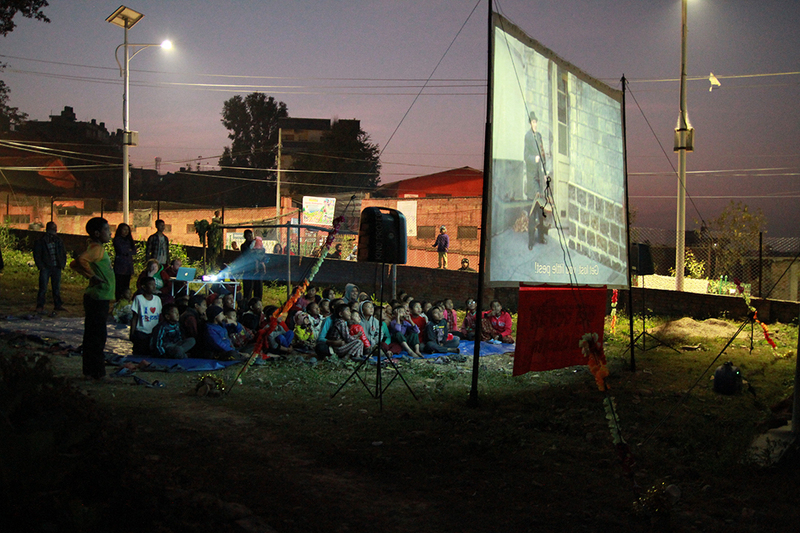 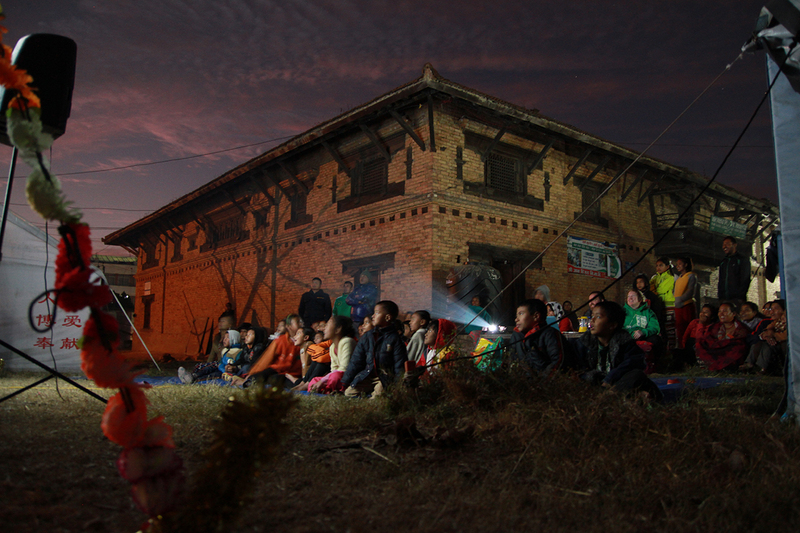 We screen in Sano Byasi, Libali and Itachhen camps. 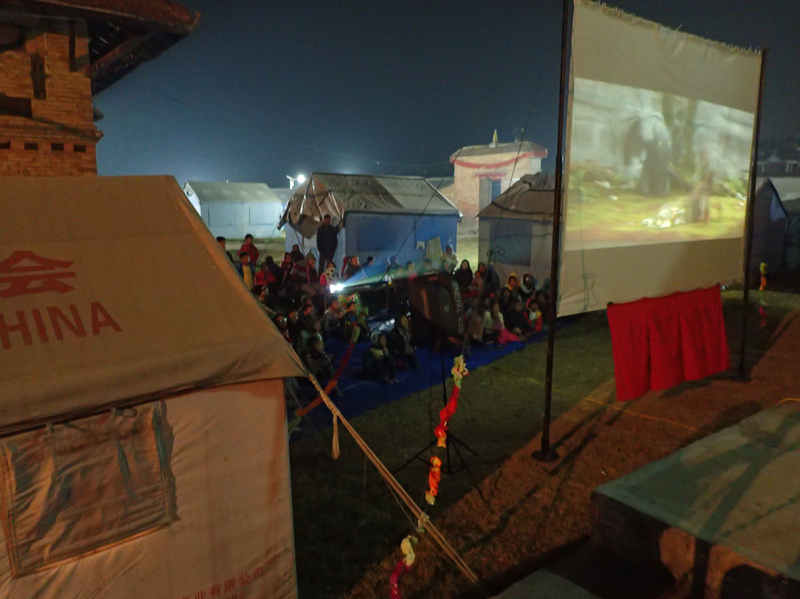 Few screenings go without some sort of hiccup and at the 2nd camp we visit we come close to brushing with the wrong side of the law. 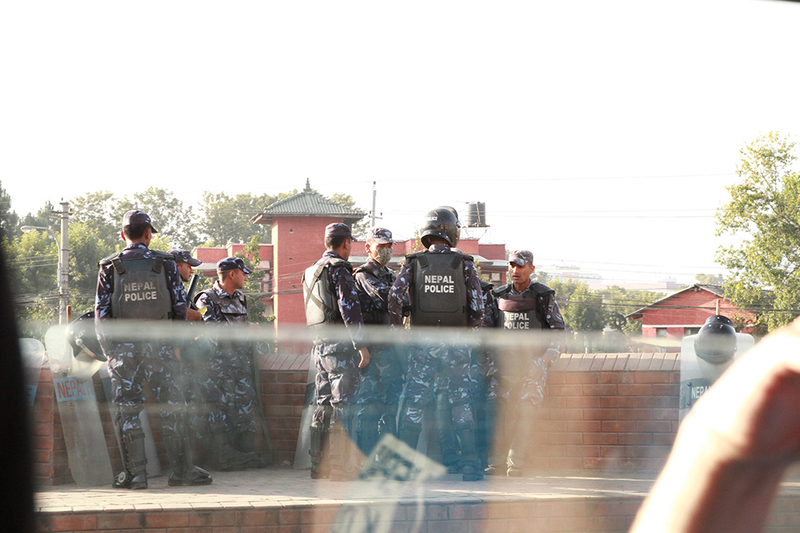 Things are getting tense throughout Nepal with the protests now stretching further into the country from the border, meaning police everywhere are on high alert. 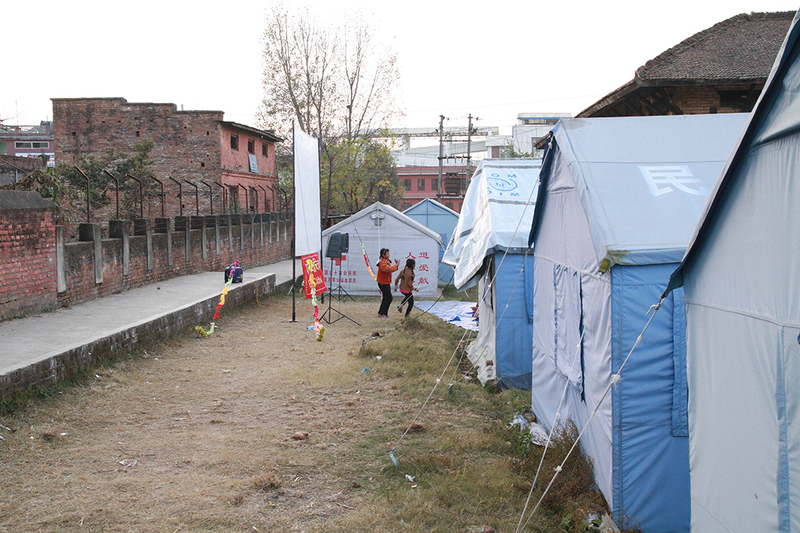 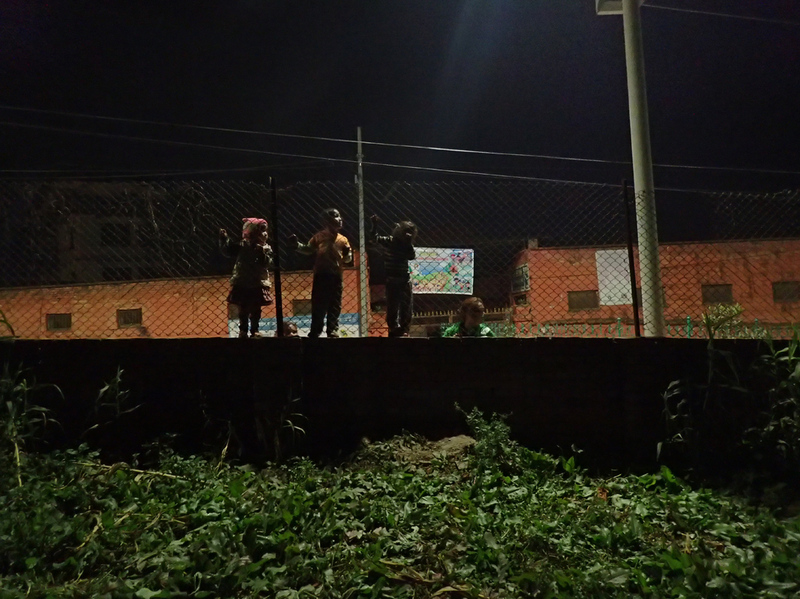 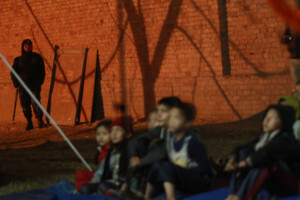 Itachhen is located right next to a police station, and although we clear it with the perimeter guard posted just inside the camp, a more senior officer soon appears during the set up and takes quite a lot of convincing that what we are doing is innocent and just for children. 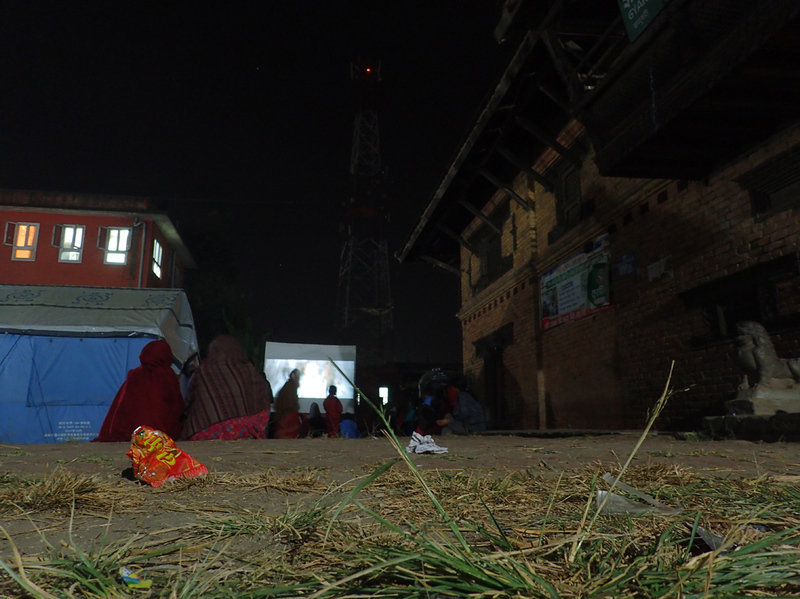 With some lengthy explanation and pleading from our wonderful driver and awesome Clean Up Nepal volunteers we are given the green light to continue. 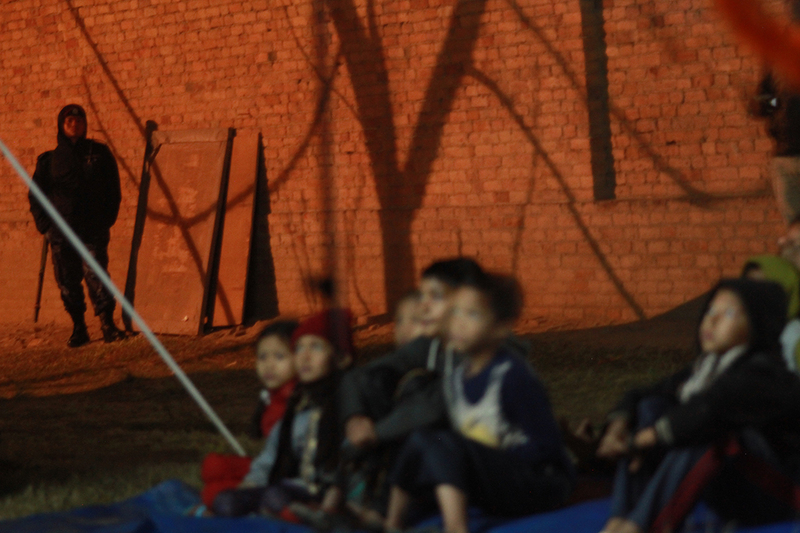 We are then graced with the presence of an armed guard hovering nearby for the rest of the evening, but at least he seems to enjoy the films as much as everyone else.